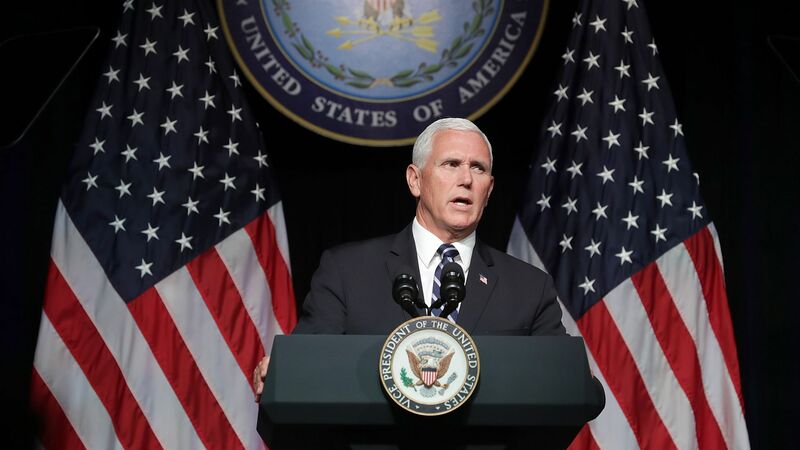 Vice President Mike Pence announced on Thursday the administration and the Pentagon were moving forward with steps to make the proposed Space Force a separate, sixth branch of the military. The big picture: Despite fanfare from the Trump administration and its supporters, opinions on whether or not the Space Force as a separate branch of the military is necessary, are split. Pence, the "point man" on the matter, said Thursday morning the Space Force is the "next great chapter" in the history of America's armed forces. The administration is preparing for what he called the "next battlefield" where America will have to defeat a "new generation" of threats. Former Astronaut Mark Kelly appeared on MSNBC following the announcement and called the Space Force proposal "redundant and wasteful" because the Air Force currently handles threats the Space Force would. He continued, saying "the only person I've heard say this is a fantastic idea is the Commander in Chief." Rep. Bobby Rush (D-IL) suggested there were more pressing matters the administration needed to take care of, including health care. "Not real action to lower Americans' health care costs and preserve protections for people with pre-existing conditions." Rep. Brian Schatz (D-HI) also took the opportunity to highlight the medical insurance argument, saying a Space Force is a "silly but dangerous" idea and that the administration should expand medicaid instead. Reps. Mike Rogers (R-AL) and Jim Cooper (D-TN) released a joint statement on the Space Force roll-out plan saying that there has been a need to "protect our space assets and to develop more capable space systems." They called it a "multi-year" process that will result in a "safer, stronger America." Rep. Mo Brooks (R-AL) came out in support of the Trump Administration's plan, saying it's critical to defending the country's national security interests while living in an age of "highly advanced weaponry," and space defense systems. Astrophysicist Neil deGrasse Tyson told CNN's Anderson Cooper that an independent branch may not be such a weird idea, explaining "it’s something that has precedent." He said he doesn't have a strong opinion either way, and cited the development of the Air Force after WWII "when we realized that the air space was becoming a more developed place….it required different training for personnel. It became sensible to spawn that off to its own branch. No one today questions that."